In just one generation, age-old ideas about women have been swept aside . . . but what does that have to do with men? Authors Michael Kaufman and Michael Kimmel, two of the world's leading male advocates of gender equality, believe it has everything to do with them--and that it's crucial to educate men about feminism in order for them to fully understand just how important and positive these changes have been for them. Kaufman and Kimmel address these issues in The Guy's Guide to Feminism. Hip and accessible, it contains nearly a hundred entries--from "Autonomy" to "Zero Tolerance"--written in varying tones (humorous, satirical, irreverent, thoughtful, and serious) and in many forms ("top ten" lists, comics, interviews, mini-stories, and more). Each topic celebrates the ongoing gains that are improving the lives of women and girls--and what that really means for men. 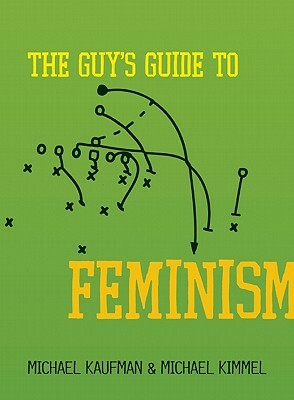 Informal and fun yet substantive and intelligent, The Guy's Guide to Feminism illustrates how understanding and supporting feminism can help men live richer, fuller, and happier lives.